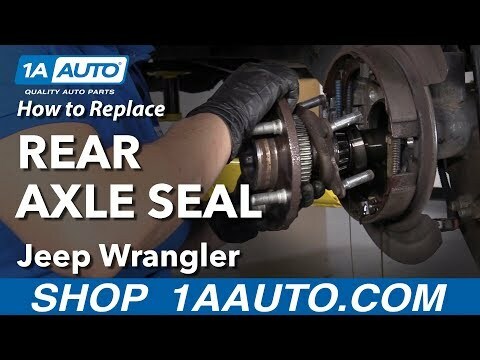 In the video, 1A Auto shows how to replace a worn or leaking axle seal. The video is applicable to the 06, 07, 08, 09, 10, 11, 12, 13, 14, 15, 16, 17, 18 Jeep Wrangler. What happens if you do hit the axle with the saw? Sue is awesome! Thanks for the great video. We used it today for our Jeep. sooo you re-used the old race? why not pop out the old one and put the new one in? Great info on the limited slip fluid additive. Is the same procedure as on a 2008 Jeep Grand Cherokee you think ? Great video – short and to the point, very useful, thanks. I’ve been looking for a video to show me how to do this for awhile. Now I finally know how to, thanks!